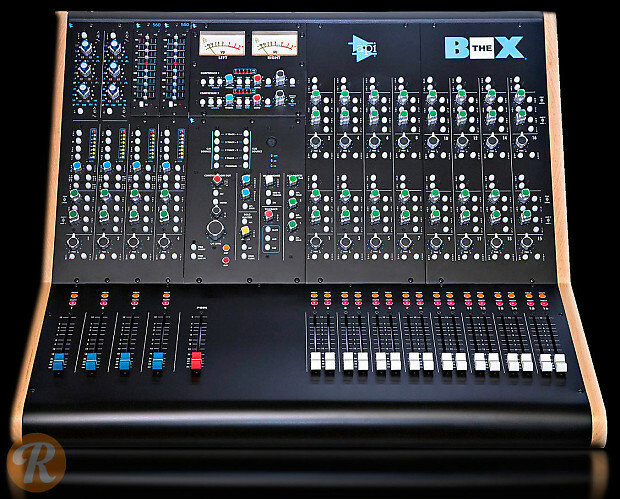 The API The Box is a 20-input recording and mixing console in a smaller form factor than API's other consoles. 4x mic/line/DI input channels with high-pass filter. 2 of these channels have integral 550A equalizers, 2 of them have empty 500-series slots. Found on Reverb: the Vintage Collins Tube Console Used to Record Leon Bridges' "Coming Home"